Set in magnificent grounds with long sweeping driveway, one could be in a Jane Austen novel. The Hall is a beautiful 18th century, Georgian manor house on a site that has had buildings on since the 12th Century. Home to the Clifton family and a wartime Convalescent Home for the intervening years until 1960 when it was bought by a local company. 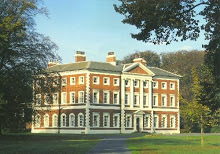 It is now owned by the Lytham Town Trust and managed by the Heritage Trust. There is an eclectic mix of events on offer, open air theatre, car and bike rallies and seasonal events throughout the year. It’s available for Weddings and Corporate Events too. ENTRY FEE: Generally Free admission to the grounds only (with no events going on) but a Small fee on some occasions (e.g Snowdrop Weekends) plus additional fee for Guided Tours of the Hall.